The UNP has suffered severe losses at the Local Authority Elections. The Tamil National Alliance (TNA) has likewise sustained significant setbacks, not only electorally, but politically as well. The losses of the TNA (read, ITAK, the prima donna, calling all the shots in the Alliance) are not sporadic; but seem pervasive across the entire electoral landscape of the Tamil heartland in the North-East.Compromising on core ideals whilst cohabiting with the Sirisena-Ranil government has cost the TNA/ITAK dearly. At the dawn of New Year, TNA leader Mr. Sampanthan had found it propitious to bluff his way through an interview with the Indian daily, Hindu. (The Hindu, 03 Jan.2018 – “We can’t despair, we can’t abandon things ,says Sri Lanka’s R. Sampanthan”). Sampanthan had. Inter alia, asserted that the TNA “made the correct decision in backing Mr. Siriena” at the Presidential Election in 2015. Nobody in the Tamil community had ever questioned TNA decision on that count. Our complaint is not about backing Sirisena at the Presidential Election; but about backtracking on the post-Election promises. compromising on the fundamental tenets of the ITAK and, in sum, about the breach and betrayal of the Tamil people’s trust. TNA leadership cannot keep their eyes closed and assume that everything is hunky dory about the Tamil issue. The electoral losses should have brought them to their senses. If, on the contrary, the ill-fortune has not dampened their sanguine enthusiasm in contumaciously consorting with sleazy Southern partners, it lies in the logic of history that the TNA/ITAK may slowly sink into oblivion. To some of us, it will be a very painful prospect. Mr.Ranil Wickremesinghe had since admitted his missteps and accepted responsibility for the UNP debacle. 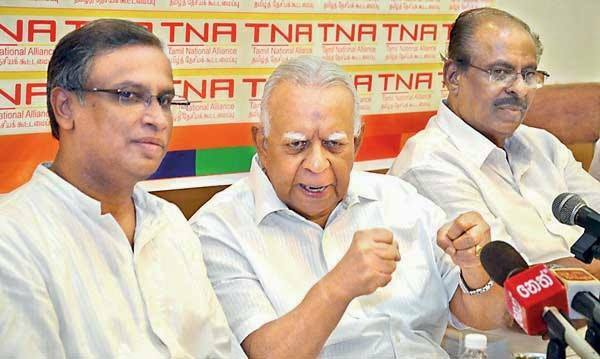 Where are the three musketeers of the TNA – Sampanthan, Sumanthiran and Senathirajah – whose post-war polemic and gimmicks have led the Tamil people down the slippery slope ?. Their silence on the electoral losses is deafening. Mr. Sampanthan had, in parliament, made a post-election statement, targeting the ethnic majority audience and his speech merits a round of applause. In regard to the Tamils the trio, collectively or individually, ought to admit “nostra culpa”/ “mea culpa”. Further, the revisionist leadership should take concrete corrective steps to mend their wayward escapades and regain their ideological roots. “Those who cannot remember the past are condemned to repeat it” (George Santayana?) This pithy aphorism serves to explain the rationale for TNA/ITAK’s electoral reverses. 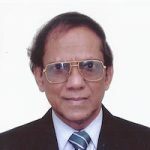 Ever since it was founded in Dec. 1949, the ITAK (a.k.a, as Federal Party) had incrementally eroded the voter base of the ACTC (All Ceylon Tamil Congress) led by Mr.G.G. Ponnambalam, accusing the latter as an appendage/proxy of UNP. Thus, ITAK had, eventually, dislodged the ACTC from its primacy and emerged as the dominant voice of the Tamils. ITAK had nurtured and nourished its image as an uncompromising, radical anti-Establishment entity, passionately committed to the Tamil nationalist cause. Following the March 1965 General Elections, both the ITAK and the ACTC became constituents of the “Hath Havula” coalition government, ostensibly designated as “National government”, under Mr. Dudley Senanayake (whose UNP won only 66 seats and the SLFP 41 seats in the 151-seats Assembly). Since the ITAK mores enjoined the elected M.P.s not to accept ministerial positions, Mr. M. Tiruchelvam Q.C. of the ITAK was appointed a Senator and sworn in as Minister of Local Government. (A digression may be warranted) In an attempt to oust the government, the Joint opposition (SLFP-LSSP-CP) played the incendiary ‘communal card’ accusing the UNP of entering into a secret pact with ITAK leader S.J.V. Chelvanayakam. Their campaign theme was that Dudley had agreed to a Tamil Federal state and thus had paved the way for separatism. The crass campaign slogan was, “Dudleyge Bade Masala Vade”. The UNP-ITAK relationship ruptured soon and, in Nov.1968, Minister Tiruchelvam was obliged to resign. However, until 1970, ITAK continued to extend critical support to the government. Typically, the style and substance of Rajapakses’ post-2015 manoeuvres to regain their lost kingdom – and their ultra-nationalist slogans to seduce the Sinhala-Buddhist constituency – tend to recall the 1965-70 scenario and the stratagem of the SLFP-led United Front to oust Dudley government. The ITAK paid a heavy penalty for cohabiting with the UNP. At the May 1970 Parliamentary Elections ITAK heavyweights, Dr.E.M.V. Naganathan (Nallur) Amirthalingam (Vaddukoddai), S.M. Rasamanickam (Paddiruppu) suffered defeat at the hands of nondescripts. Even in some electorates where the ITAK managed to win, they scraped through by a measly majority – Jafffna (by 56 votes), Mannar (69), Point Pedro (315). ITAK’s nuptial journey with the “national government” was a nasty experience to them. The transitory alliance with the UNP had diluted ITAK’s distinct Tamil nationalist identity and tarnished their integrity. Sadly, Sampanthan had been oblivious to the bitter 1965-70 experience. True, that he was not in party/electoral politics at that time. But then, the 1965 experiment in the “National” government was part of contemporary history. When all is said and done, the 1965-70 entente between ITAK and the UNP could be rationalized. The relationship had a raison d’être . Dudley and Chelva were partners in the 7-party coalition and their transactions were transparent. It was not a coincidence that Sampanthan was appointed Leader of the Opposition on 3rd Sept. 2015 just ten days before the UNHRC-30th Session was to commence at Geneva. The draft Resolution on Sri Lanka was tabled on 27th Sept.2015. TNA leader could not have missed the media comments on his appointment – suggestive of government’s stratagem to mollify the demands of the sponsors of the Resolution. The BBC report said: “His appointment is seen as a step towards ethnic reconciliation after 26 years of civil war ended in 2009.” (BBC News, 3 Sept.2015). TNA leaders had often claimed that it was their government and that they were obliged to protect and defend it. In early 2017, even before the government leaders could worry about the oncoming UNHRC sessions in March, Sumanthiran M.P. had volunteered to give an extra two more years to the government to meet its obligations. TNA M.P.s have always been faithfully voting for the Budget, including Defence allocations. There have been legitimate complaints about militarization of North-East, military excesses in NE, installing/erecting Buddhist statues/ shrines in NE with armed forces’ support. However, TNA had never moved even a Token Cut Motion in Parliament to register their protest against any specific allocations in Budget proposals. Their bonding with the government was so strong and so much cherished, that the Opposition Leader raised nary a word against the bond scammers. The TNA has been bending over backwards and for over three years doing the bidding of the government to the point of servitude – and, to no avail. A whole generation of Tamils have been crying their hearts out for justice – for resolution/redress of their grievances. And, a host of critical questions continue to cry out for answers – vis-à-vis: missing persons, political prisoners, military occupation of civilian lands, PTA, Demilitarization, war crimes etc. On top of them, the question of Constitutional Reforms remains a conundrum. Can a government, crippled and on crutches today, deliver what it could not do when it was supposedly strong and sturdy? We are back to square one, once again. Lately, TNA’s soiled image as an adulterated outfit had helped Gajendrakumar’s TNPF/ACTC to expand its voter base. That said, how come a sizable section of traditional ITAK supporters have voted for Sinhala ethnocentric parties and their puppets – EPDP, UNP, SLFP, SLPP? TNA leadership has blurred the boundary lines separating the two antagonistic ideologies – Sinhala ethnocentrism vs. Tamil nationalism. Perhaps, the Tamil electors had thought they would rather vote for the principals (EPDP, UNP, SLFP) than voting for their proxy (TNA). Post-war Tamil politics is a serious business. Let the TNA/ITAK leadership remember: Commitment and fidelity to the cause are the watchwords. Have We Divested Ourselves Of Any Pretence To Civilized Behaviour? I expect Thangavelu Aiya to read and memorise every word of this article. TNA is in this sorry state, as they are being forced to give unconditional support to the present government by India in order to prevent MR coming back to power. They are helpless when government is continuing to carry out anti-Tamil policy in a covert way. Their appeasement policy with government and Muslims is failing to the detriment of Tamil community. This is the result that they have lost ground to other parties in both north and east. People felt that voting EPDP in the north and TMVP or SLFP in the east may help them to get relief from government. This is why MR said in a cockish way that Ealam is shrinking. MS/RW government has so far not only failed to fulfil promises given to Tamils but also assurances given to international community. Their oft repeated excuse is that if we do it, MR will comeback to power. How long are they going to play this record in hoodwinking all. Due to the political turmoil and ethnic violence, new constitution making to accommodate justice to Tamils is virtually dead. There is no chance of any progress in reconciliation or restorative justice, with acts like Sinhala colonisation to alter demographic pattern in north is continuing in a virulent manner. At the same time atrocities being committed by Muslims on Tamils in the east is wilfully being ignored. RW had the audacity to state that North-east merger cannot be forced as Tamils are not in the majority in east and their majority status in north is doubtful. This is the reason why Tamils will not vote for either MS or RW in future even if India or USA ask them to do so, and allow MR to come back to power as they feel it is easier to tackle an enemy who behaves like an enemy rather than an enemy who pretends to be a friend. Therefore for all purposes the present MS/RW government is doomed and are unlikely to take any measures to antagonise Sinhala voters. The Tamil politicians always had a soft corner for the UNP from 1947. UNP was considered a snake under the grass.one does not know when they will attack your foot and make you lame/crippled thus you continue to depend on them for survival. This exactly what has happened to Sampanthar. The other two had to stay put to nurse Sampanthar – not to put him back on his feet but to get the best personally under the prevailing circumstances. It would have been better for Sampanthar to have got a ministry rather than being a leader? of the the opposition . As an appropriate minister he could have done some help to locate the displaced, provide housing, regained the lands lost.Other wise he could have resigned and shown to the world that the mountain labour could not bring forth even a mouse. Sampanthar as the leader of the opposition only went on shielding the Government at every turn thus gaining only the wrath of the Tamils as well as the Sinhalese and now the Muslims too. What have you achieved during this 3 years? if at all ‘anything; has been achieved it is due to the women and children’continuing agitation. UNP is noted for their divide and rule policy and the Tamils have not been exempted from it. If there was a proper alternative party TNA would have been nowhere in this elections . Karikalan S. Navaratnam starts with ~ “The UNP has suffered severe losses at the Local Authority Elections……………..”. Do not forget that SLPP used the infamous evil, the language/religion-divide. “…………The Tamil National Alliance (TNA) has likewise sustained significant setbacks, not only electorally, but politically as well………..”. Karikalan: Tell us in simple words what TNA must do now and why. This “I said so” thingy is boring. The writer had said,the revisionist leadership should take steps to mend their ways and regain their roots. The commenter KP has asked pointedly and precisely “Tell us what TNA must do now and why”. Yes. Not harking back, but projecting your vision to the immediate future of two years, can the readership have your answer in bullet format? TNA in the 1st. instant stop playing second fiddle to the government. They should stop spreading their legs in two boats. Either they should be in the opposition orin the government.It is evident that they are more in the government than in the opposition.. They won’t allow the opposition to function as opposition. After the Kandyan problems subside (it will never end) they should put their foot down ask for the lands to be released, information on the missing persons to be given and subtle colonization to be stopped.If this does not happen they should bodily move move on to the ‘Real’oppositionand act, keeping in mind the problems of the Tamils. ” Tell us what TNA must do now and why” in a bullet format. 5. Make arrangements with Supt of Prisons to release all those Tamil detainees/ prisoners by replacing with MPs and their stooges. 6. If they can’t do above for TIME BEING, take a boat and jump into the Indian Ocean. You haven’t told this forum or the readers how all 6 points were going to help the Tamils who have been grossly cheated by your Thesiath Thalaivar (National Leader). Let us hear from you how your six point plan will make the state’s racist institutions and the rulers compassionate and relent to their demand which you haven’t defined yet. Above all could you demand the TNA to collect a comprehensive detailed list of missing persons from 1977 to 2015. Leave the worrying to me. I could easily arrange if they are to be legally cleansed from this island, drop them off Rameshwaram. I love reading all your comments including this one that relishes me. I did not go beyond what KP & Barathan wanted from readers. Anyhow I am glad to expand it. We cut unwanted trees and bushes and level the land before we build a house. In the same way my six points will remove unwanted elements and clear the path for the Tamils. This will be the first step. How to build a house, length width and height, and how to live there, all should be decided by entire Tamil community collectively. You and I should not decide on their behalf. National Leader did not cheat. It was the fault of advisor / commissar to the Leader. ” Racist institutions and rulers” — past history shows that they will never relent. Tamils have tried everything, appealing to queen talks pacts satyagraha black flag protests court cases joining to form govt accepting a ministry Indians’ help arm struggle etc but nothing succeeded. To be honest I don’t know any other way to succeed. Demanding a list of missing persons from TNA – Oh please don’t be so angry with me. What I meant was middle of Indian Ocean, not dropping them off Rameshwaram . Will you do it ? It is because of the political support we extend to the Yahapalanaya government, the ITAK/TNA was able secure the release of several thousands of acres of private land occupied by the armed forces, partial release of political prisoners and building of 40,000 houses. In this year budget, there is provision to build 50,000 brick-and-mortar houses for conflict affected families in the North and East and as part of resettlement and reconciliation initiative. The project will cost of Rs.750 million each unit costing Rs. 1.3 mn. Also, Rs.1.4 billion has been allocated to the OMP in the current budget. Of course more could have done, but the Yahapalanaya government is timid and vacillating. One solid achievement of the ITAK/TNA is on the diplomatic front. Resolution No.30/1 co-sponsored by US, its allies, Sri Lanka adopted at the 30th Sessions of the UNHRC on October 01, 2015. It is correct that the sponsors of the resolution has given two years extension, but not to give extension would have ended rendering Sri Lanka off the hook. Today, Resolution 30/1 is hanging like the sword Damocles over the head of Sri Lanka. Finally, to the credit of Sampanthan, Mavai Senathirajah and Sumanthiran, the trio may not win every battle, but everyone will at least know what they are standing and fighting for. They are carrying the cross unceremoniously and cowardly abandoned by Karikalan half-way. Karikalan is a frustrated individual being a victim of his own ambitions;[edited out] So I don’t want to be harsh, yet some of the issues he raised deserve a response. Under normal circumstance, if there was no war, he would have ended as a Member of Parliament representing a constituency in the North. This was his dream and he blamed the LTTE for denying him that coveted office. After thirty years of his stay in Toronto, he has like Rip de Winkle woken from his deep slumber. to criticise the TNA/ITAK. With all their faults and shortcomings Sampanthan, Senathirajah, Sumanthiran, the trio he is accusing are in the midst of their people fighting for their birthrights, sharing in their sorrows and joys while Karikalan remains a good critic in Diaspora. It is easy to criticise, but what is difficult is to deliver on your commitments. During his years of hibernation, he lived in splendid isolation relating to Tamil affairs even after the end of the war in 2009 and instead concentrating on his practice as a lawyer. That is fine with me. The only public event he got involved is to commemorate the birthday of Amirthalingam whom he has the guts now to criticise. It is cowardice, to say the least. Suffice to say Karikalan was part and parcel of the ITAK/TULF till he fled to Tamil Nadu along with Sampanthan, Sivasithamparam, Amirthalingam, and others in 1983. In every election since 2009 Tamil people overwhelmingly voted for the ITAK/TNA. Not only that the people voted for Sarath Fonseka in 2010 and Mythripala Sirisena in 2015 as advised by the ITAK/TNA. I have the deepest contempt for these Tamil parties including ITK/TNA, ACTC etc. Their leaders lacked foresight and resolve and that is the reason why the Tamil community finds itself in the present plight. However the present leadership of the ITK/TNA comprising of the so – called triumvirate of Sampanthan, Sumanthiran and Maavai is the worst lot. Promising to fight for the rights of Tamil people, the trio has jettisoned all their promises given to the electorate and succumbed and submitted themselves to the present government. The position of Leader of the Opposition and other minor posts were the crumbs that were thrown in their way for bartering away the rights of the people. Not forgetting the multi millions that were earned by each of the ITK/TNA MPs by selling their duty free vehicle permits. In addition Two Million Rupees was paid to each ITK MP in order to vote for the Yahapalanaya government on important issues. Sampanthan and Sumanthiran are responsible for the extension of two years given to the Srilankan government in Geneva virtually letting GOSL off the hook on war crimes and other human rights violations. Over the years Sumanthiran’s each visit to the US State Department yielded unimaginable concessions and compromises vis a vis the Srilankan government which is the darling of the Western powers led by USA. These concessions and compromises include giving up the demand for North East merger, Federal state, release of political prisoners, enforced disappearance, land grab by the Srilankan military etc. The ITK/TNA MPs unabashedly raised their tainted hands in support of every move of this government giving up on all fundamental policies of their party and the people getting nothing in return. Thanga’s tirade against Karikalan S.Navaratnam a much respected politician of yesteryear and an eminent lawyer is totally unfounded and reeks of personal prejudice and a propensity to blindly support his political masters. After the demise of MP Kathiravetpillai, Karikalan was nominated to fill in the vacancy in Parliament. Instead Karikalan himself suggested that Kuttimany a rebel leader imprisoned in Welikada prison be nominated in order to strengthen the cause of the community emulating the example set by the IRA who appointed Bobby Sanders a combatant leader to be member of the Irish parliament. As expected the Speaker of the Srilankan parliament ruled out the name. Thereafter ITK appointed Dr.Neelan Thiruchelvam to the vacancy thus betraying Karikalan. Ever the loyal party man, Karikalan did not faint or flinch and continued to work faithfully to the party. If he had been ambitious as Thanga says, Karikalan could have resigned or joined any other political party. Compare this to the murky past of Thanga (real name Thangavel ) who got himself appointed as Commissioner of Jaffna Municipal Council through his connection to E.Balasubramaniam who served as Secretary to M.Thiruchelvam Q.C. then Minister of Local Government. It is said that people in glass houses should not throw stones , but some puerile characters are impervious to such admonitions in their eagerness to please their political masters. You are now happy in a federal state government, but we are yet yearning for it. Why don’t you come back to your home land and help with your rich advice and find us a solution by joining hands with the TRIO we are dependent. We will eagerly await you and your cherished experience to come to the fore and help us rebuild the wavering voters who just took this as a personal election and voted for men who could build a better and cleaner town. Many were just a disappointed lot, a lot who were not considered for a seat in the TNA who took up arms and joined the enemy.